The Ada County Sheriff’s Office Marine Patrol consists of a sergeant, five deputies and several volunteers assigned to provide rescue services, law enforcement services and educational opportunities for people on the water. The Marine Patrol oversees Lucky Peak Lake and Swan Falls Reservoir as well as the Boise and Snake Rivers. 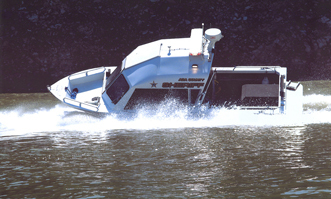 The ACSO Marine Patrol uses specially-equipped law enforcement vessels to complete their highly-specialized mission. These vessels include patrol boats, a dive rescue boat and high performance personal watercraft. Non-motorized vessels are also used to navigate the Boise River. Marine deputies are specially-trained full-time law enforcement officers who focus on educating the public to create safer recreational boating opportunities. As law enforcement officers, marine deputies respond to and investigate boating-related accidents and enforce state and local laws both in the water and on land. In an effort to reduce boating under the influence related accidents and fatalities, the Ada County Marine Patrol places a strong emphasis on finding and arresting boaters impaired by drugs or alcohol. Ada County Marine Deputies are available to answer your questions about boating and waterways. We can also provide boating education for groups and individuals. To schedule or find an upcoming Idaho Boater Safety Course in Ada County, contact the Ada County Sheriff’s Marine Patrol.